Last week I posted Cinnamon Blueberry Jam (which was Amanda's favorite of the blueberry jams), and here is mine and my mom's favorite of the blueberry jam. 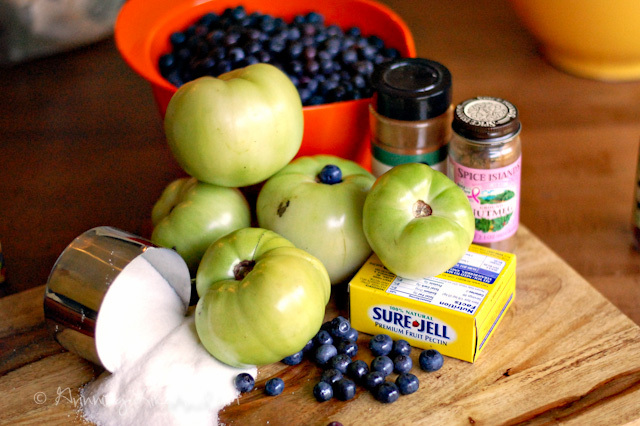 So here is what is surprising to me, I can't stand the two main ingredients outside of this jam: Green tomatoes - yuck,! 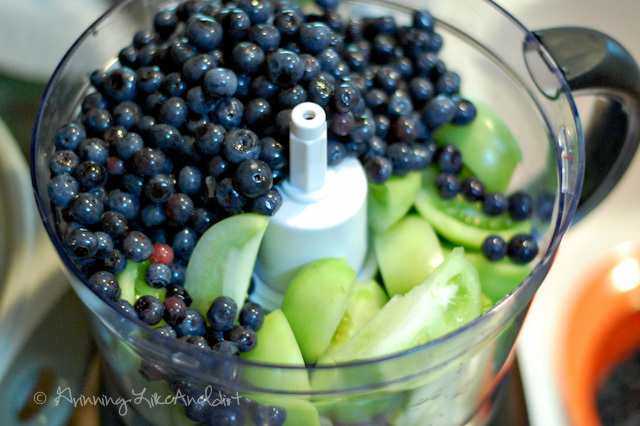 Blueberries - blah! But in this delicious combo, holy cow was it awesome!!! 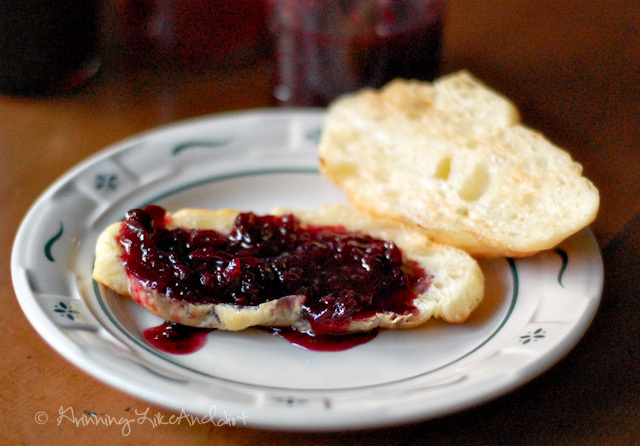 Be sure to check out my other favorite: Strawberry-Port Jam and for full instructions on how to "can", check out the Strawberry Jam post. Add water, sugar, butter, salt, lemon juice, cinnamon, and nutmeg in large pot over medium heat, stirring constantly, until sugar dissolves. What surprising food combos have you run across?